This photograph was taken from the upper balcony, at the south-west angle of the courtyard since the sundials can be seen at the top right. 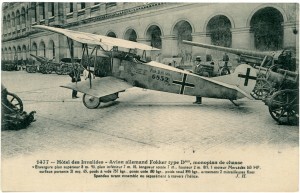 The plane in the foreground is a German Taube captured near Verdun. 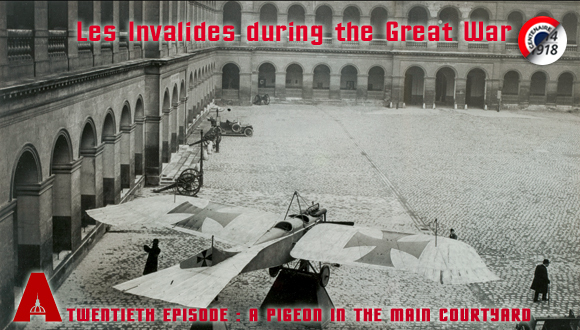 Taube means «dove» in French. 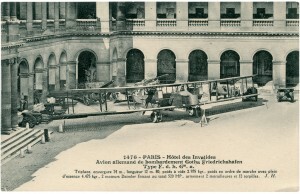 In fact, the Austrian engineer Igo Etrich (1879-1967) took inspiration from a Zanonia seed and a pigeon to design his «heavier than air» aircraft. 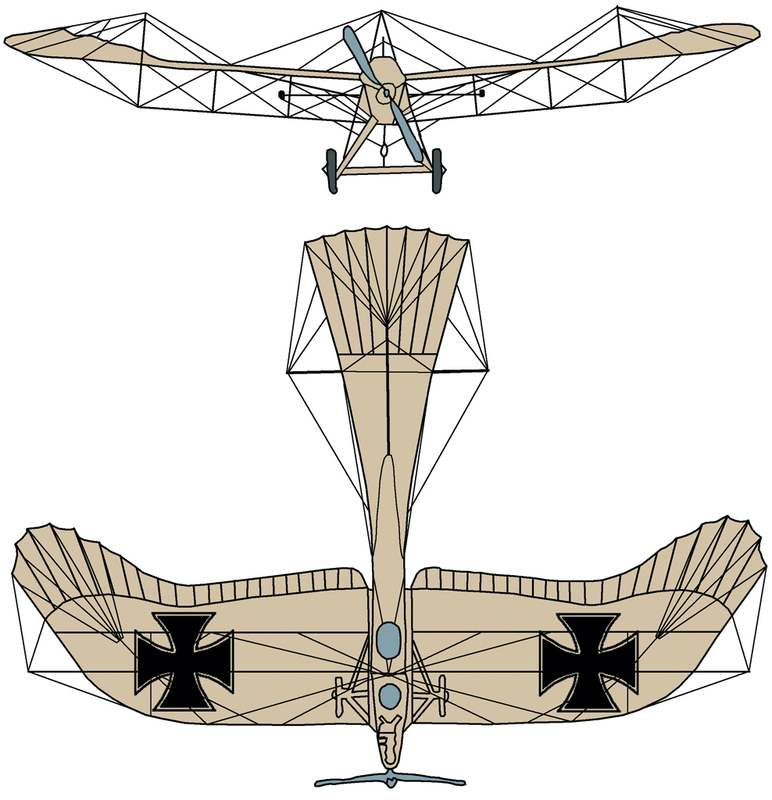 The wings and tail are decorated with a simplified version of the Iron Cross. 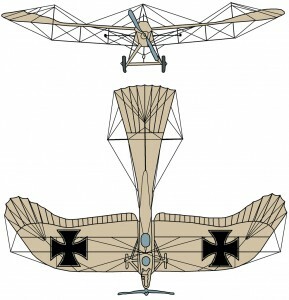 This was the first time during the Great War that this decoration appeared on German military aircraft as the symbol of German nationality. Between the wings we can see a first space for the pilot, then a second, in the front of the plane, for the observer. 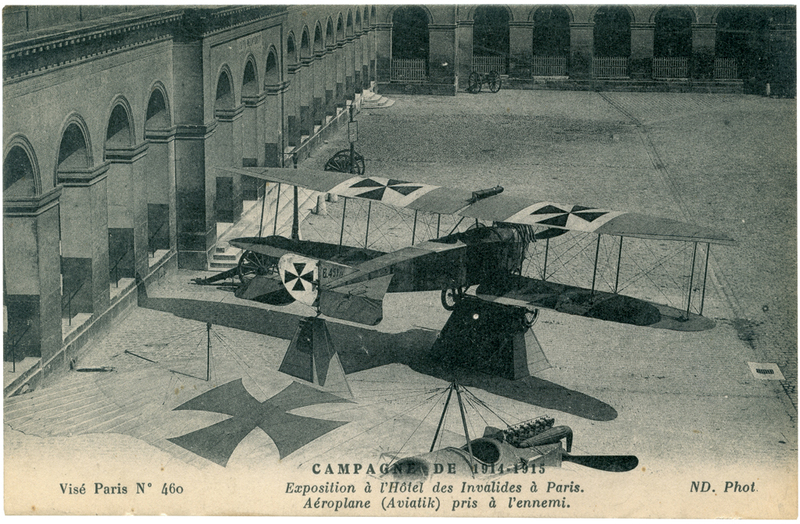 The first time Paris was bombed from the air was on Sunday 30 August 1914. 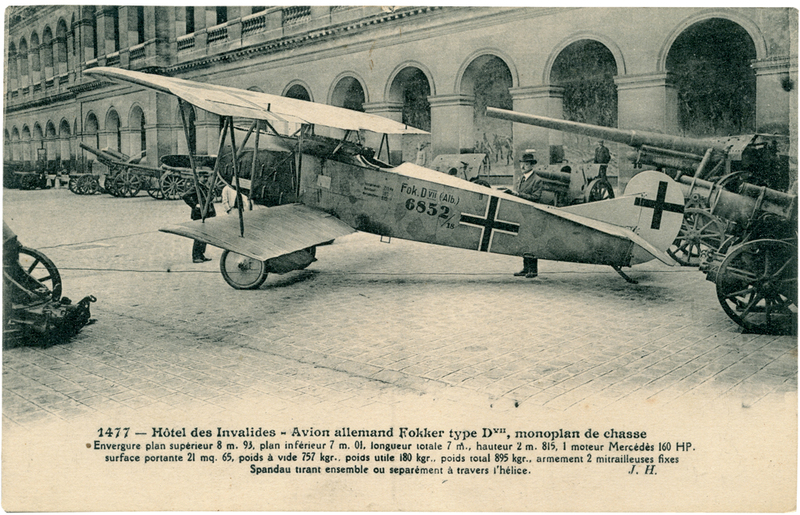 Lieutenant von Hiddessen and his observer took off on board their Taube from a site close to Saint-Quentin in Aisne, to fly over Paris. 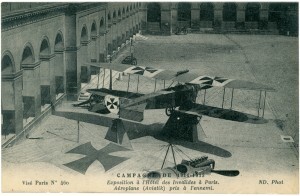 Their mission was to spot French troop movements, to drop four bombs, not particularly accurate and relatively ineffective at the time, as well as packets of propaganda leaflets, and also to unfurl a long banner bearing the German colours to which was attached a letter saying: «The German army is at the gates of Paris, the only thing to do is to surrender». This raid, and those which were to come, was aimed at civilians and its objective was to frighten and demoralise the rear. 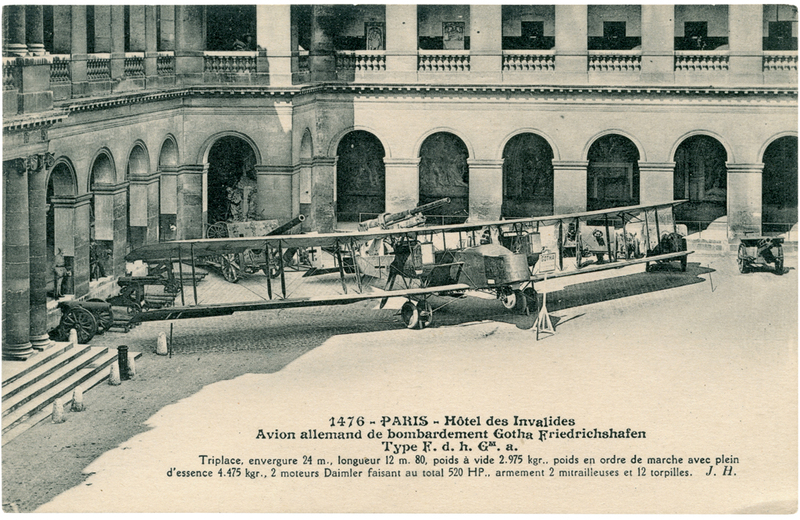 Nevertheless, written accounts and photographs of the time show that some Parisians were curious enough to rush to where the bombs fell and to gather, particularly in Montmartre, to see these fascinating and dangerous planes!